Although yellow and rose gold have seen a real resurgence in recent years, I am still finding that majority of the clients I work with are looking for white metal in their commissioned pieces. When it comes to inheriting jewellery, a lot of classic designs were made in yellow gold (perhaps with Platinum settings or design details) which sometimes does not suit the style of the new wearer. An option to resolve this issue can be to rhodium plate the yellow gold, giving it the look of Platinum and updating the traditional design with the more contemporary white metal look. This can be a quick fix and means that the piece of jewellery is intact and unaltered other than the colour of the metal. A lot of people find this the most comfortable minor tweak to their inherited gems because it seems like a ‘light touch’ alteration and therefore somehow more respectful to its original owner. As I have covered in previous articles, rhodium plating is not a permanent solution. If you are considering having a yellow gold piece of jewellery plated, be aware that some pieces will keep that bright, cold white tone from the plating for longer than others. Necklaces and earrings will have less wear and tear through everyday use than a ring or bracelet, both of which will rub against everything the wearer comes into contact with. Therefore, the microns-thick layer of plating will rub off these types of jewellery more quickly. This will be really noticeable, more so than when white gold is plated, as the yellow tone will be such a contrast to the rhodium plating. 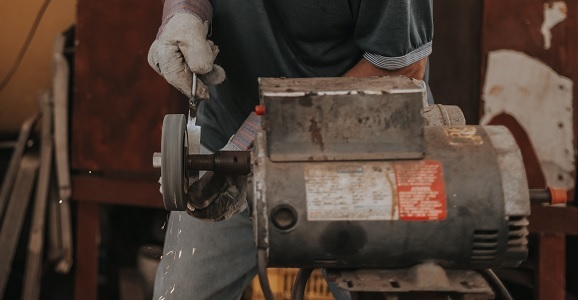 A good analogy I once read stated that you would not expect someone who bought a new car to bring it back in for a fresh paint job on a yearly basis, so why would anyone want to do the same with their jewellery? 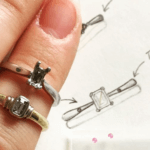 As well as the fact that rhodium plating is not a forever fix, there are other factors to be considered with any kind of plating, which high street jewellers do not share with their customers. 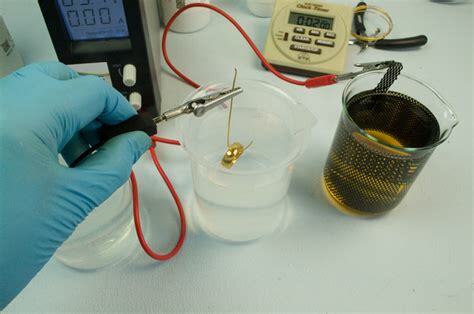 Rhodium plating is a nasty process that involves harsh chemicals like sulphuric acid and occasionally cyanide solution. I’m sure the thought of your precious jewellery being submerged in these solutions makes you shudder as much as it does me. These chemicals eventually will need to be disposed of which causes further environmental issues. If your yellow gold piece of jewellery includes porous stones such as opals, these will have to be un-set before the plating process. These stones are also often brittle, especially if they have any real age, so removing from their settings and then re-setting them is a risk to be considered carefully. Each time your piece of jewellery is plated, it will be polished first to make sure the finish is mirror bright. If it is not polished first, the dull sheen and light scratches of wear on the metal will show through the plating. To polish a piece of jewellery is to essentially cover it in microscopic scratches with a range of polishing compounds and mops, which give the glowing bright mirror finish of new jewellery. Each time this is done, some of the surface of the metal will be worn away, so the more times this happens, the thinner your jewellery will become, making it more delicate and ultimately less valuable. 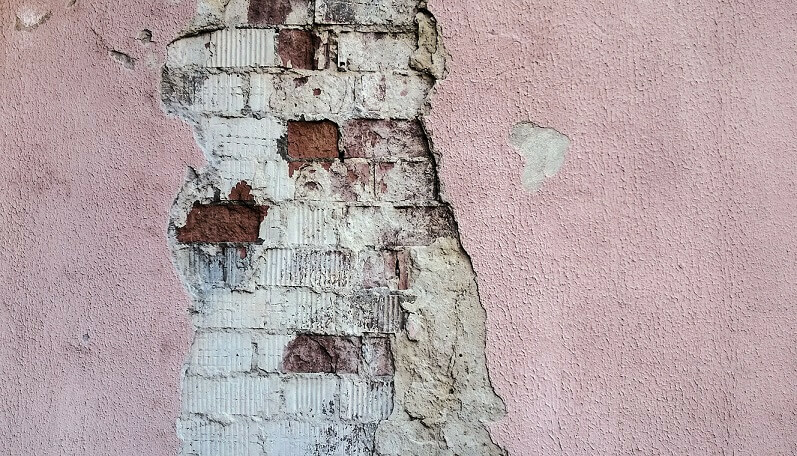 I am strong believer that natural materials will wear more gracefully over time than man-made or plated materials. Those goes for everything – compare a stone and concrete building and I can guarentee that the stone building will weather and age in a more aesthetically pleasing way than its concrete counterpart. I think it is better to be true to the material and embrace its natural colour – especially white gold, which commonly is plated by standard. You can read more about why I believe white gold should not be rhodium plated here. Rhodium plating is like the render of the jewellery world – it needs re-doing every now and then and ages badly to reveal the natural material below. If you really don’t want your metal to be yellow, there are other options available to you. 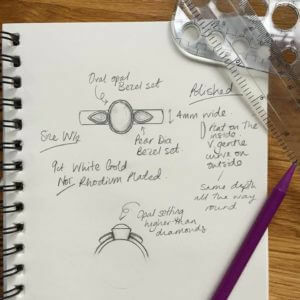 Of course, plating the jewellery will be a quick and cheaper option short term, but if you really value the item I think it is better to use the stones from the original piece and reinvent them into something new and bring them into the 21st Century to suit their new owner. I am sure that most people who gift jewellery to family and friends when they pass away would want their new owner to enjoy the jewellery and sometimes this means redesigning it. I do not believe it is disrespectful to do this. 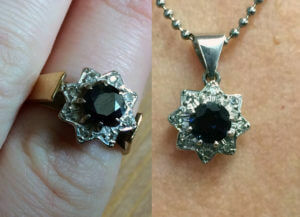 Suzanne had this stunning example of 1970’s jewellery design just tucked away in her jewellery box, unworn. She loved the setting area of the design but not the chunky band of the ring. I suggested removing the yellow gold band and turning the Platinum cluster setting into a pendant she could wear with her existing chains. 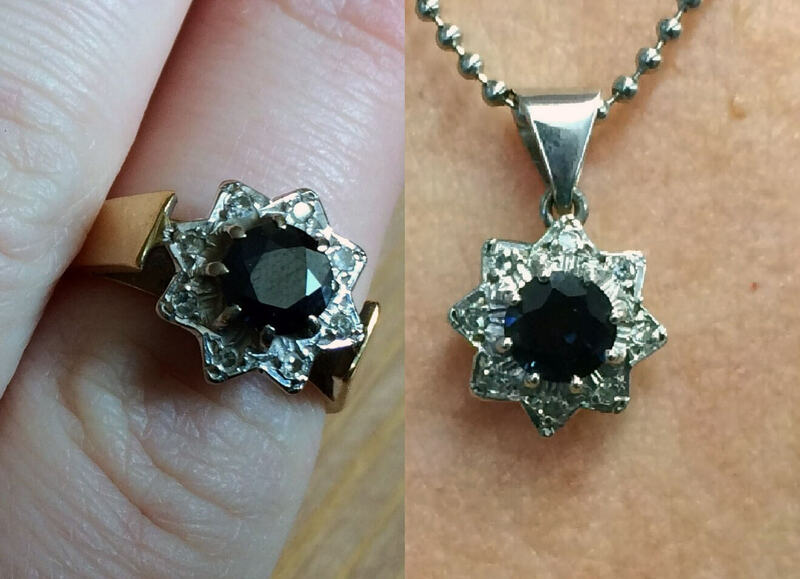 This is a classic example of how jewellery can go from being unworn for decades because the design is out of favour, to being brought up to date by re-imagining it into a fresh and more contemporary piece. 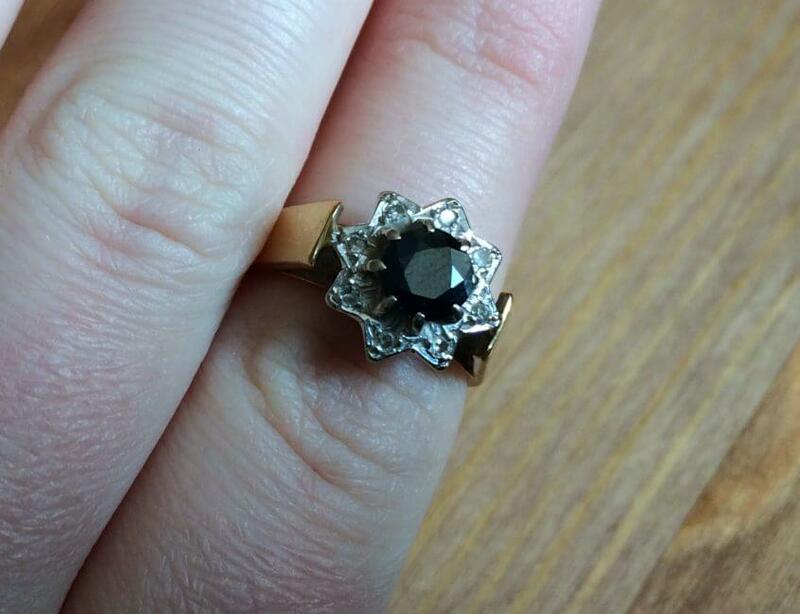 Dan asked his girlfriend Megan’s mum if he could utilise the diamond from her sentimental, but dated style yellow gold ring in his bespoke engagement ring design for Megan. I removed it from its old setting and put it in this lighter and more contemporary Platinum ring and added a pink sapphire set invisibly into the shoulders either side of the special diamond to make the ring more modern and to reflect the style of the diamond’s new owner. 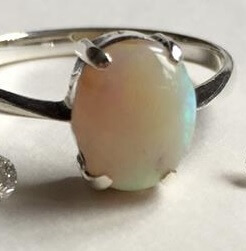 A piece I am currently working on used an opal from a silver ring Tracy has inherited. We are putting the opal in a modern bezel setting and flanking it with a pair of stunning pear cut diamonds. Tracy opted to have this new ring made in beautiful 9ct white gold, which on my recommendation she is not rhodium plating. She made this choice for several reasons, including the fact that the main stone in this piece of jewellery is her sentimental opal, which would have to be removed each time the ring was re-plated. We also discussed how the creamy tones of the white gold would compliment the milky tones of the opal. Beautiful! Of course, redesigning a piece of jewellery will cost more in the short term than just plating it, but there are so many factors to take into consideration with plated jewellery. 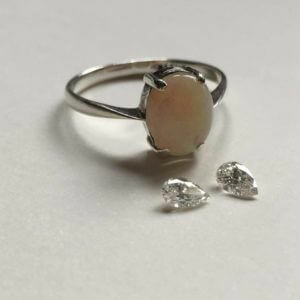 If you want a piece to last forever and not require regular maintenance, it is best to avoid plating and consider using the stones from the original piece and reimagining them into a new piece. I think there is something very symbolic about taking an element of the original piece you have been gifted and using them in a new design. 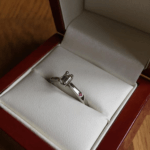 I don’t see it as disrespectful, it is more a case of taking the sentimental stones and putting them in a piece you are more likely to wear regularly, which in turn will help you remember their original owner. You can, of course, sell on the metal from the original piece to get some of the cost covered! 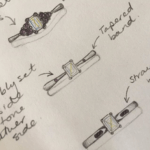 If you’ve got an old fashioned piece of jewellery sitting at the bottom of your jewellery box unworn, I would love to hear from you to discuss a fresh design that would mean the stones can be worn and enjoyed. 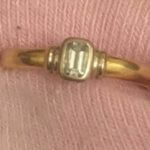 Why is my white gold tarnishing?